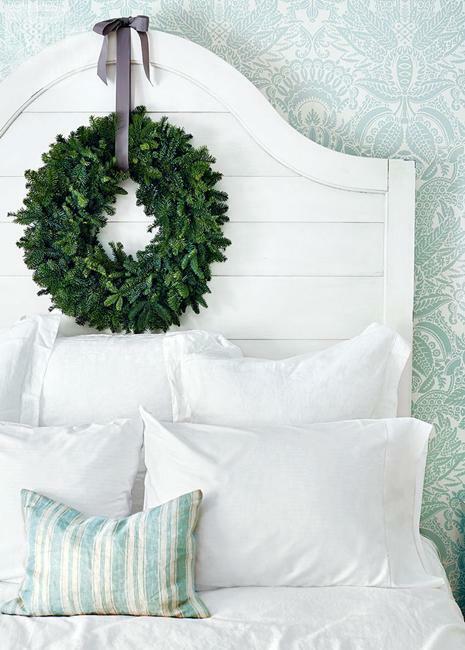 Turquoise, white, and green Christmas colors are an excellent choice for winter holiday decor. These beautiful home decorating ideas from Penney&Company offer inspiring color combinations that look fresh and warm. 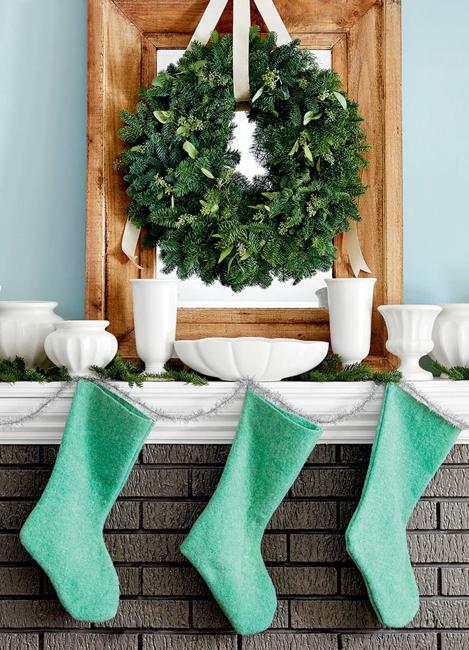 If you like turquoise colors this project will give the idea how to brighten up your home for winter holidays. 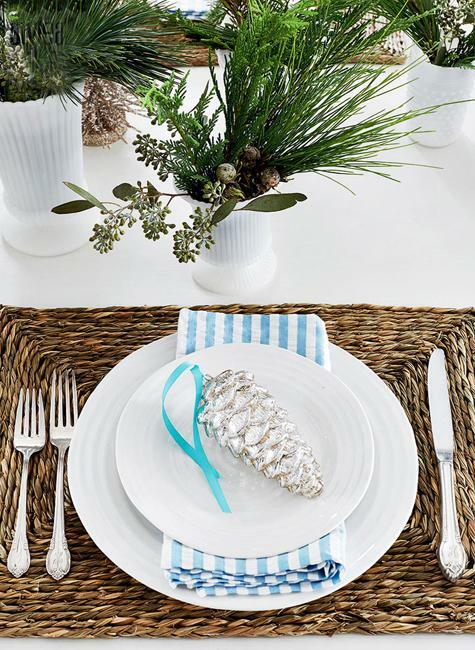 The combination of evergreens with light turquoise ribbons and golden decorations creates a fresh and festive look. Consider this color scheme for staircase decorating or kitchen. Add turquoise with interior paint. Bring golden decorations into your Christmas trees. 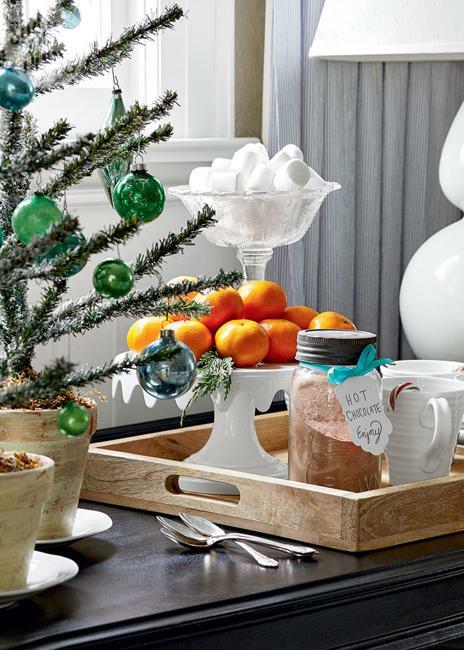 Your Christmas decor in turquoise, gold, and green colors will look spectacular this winter. Light turquoise colors are harmonious complements to evergreens. Turquoise creates beautiful accents, and they bring energy into rooms decorated in neutral tones, gray or white decorating ideas. Vibrant turquoise ribbons and interior paint are perfect for sprucing up your rooms. The balanced turquoise, green, and gold color combination is great for sprucing up any place. 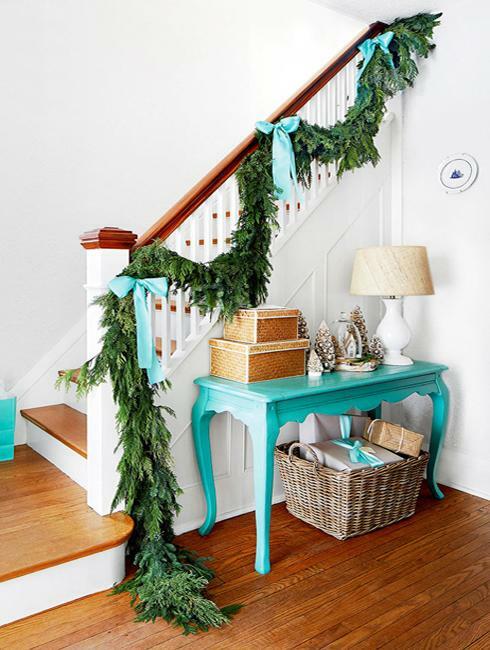 The white painted stairs look fabulous with evergreen branches and turquoise ribbons. Vintage style furniture pieces painted turquoise color got a new life. Wicker baskets, natural wood frames, staircase designs are beautiful accents bringing the warmth of the natural materials into decorated for winter holidays, beautiful rooms. Golden decorations on green branches, golden yellow colors of lampshades increase the effect of this welcoming, cozy, and festive home. Blue kitchen cabinets and marble countertops add freshness to the bright kitchen design. 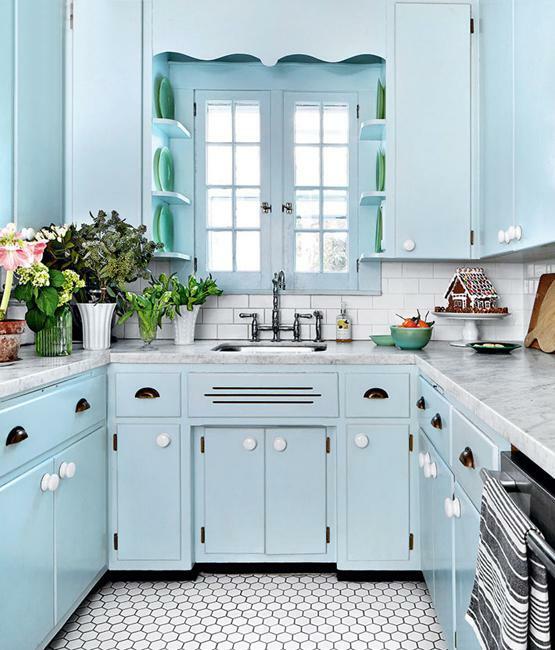 Turquoise and green tableware, beautiful flowers, and green leaves fill the kitchen interior with excitement and positive energy. 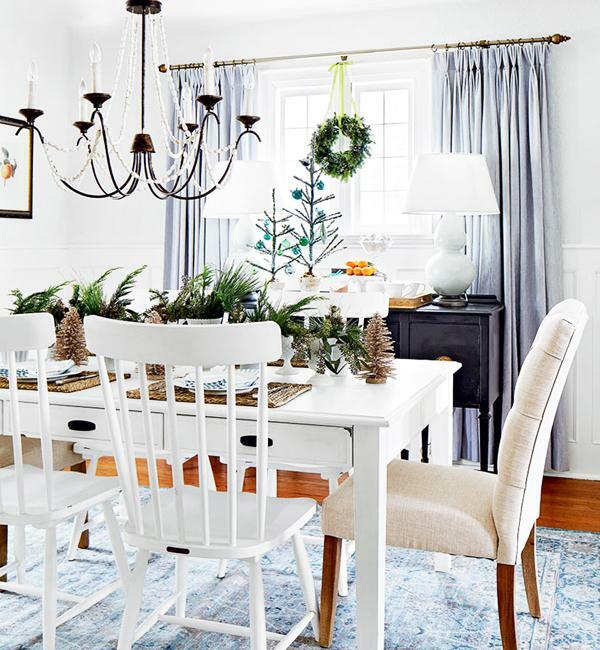 Christmas wreaths, small holiday trees and small table decorations in natural green colors bring the winter holiday vibe and spice up dining room decorating. 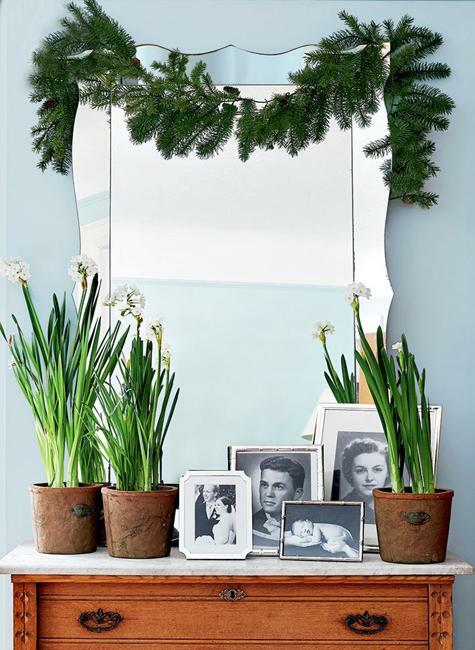 The turquoise color can give a fresh, winter touch to every corner of the house. A bedding set in a bedroom, a napkin in a dining room or a ribbon on gift boxes under a Christmas tree are excellent ideas to enjoy the beautiful light turquoise color which create gorgeous color combinations with golden decorations and evergreens.